Comparative Legal History Workshop | Sådant allt med rätta. August 19-20, 2013, a Comparative Legal History Workshop was held at the Law faculty in Lund in order to coordinate a book project on Comparative Legal History, sponsored by the Olin Foundation. 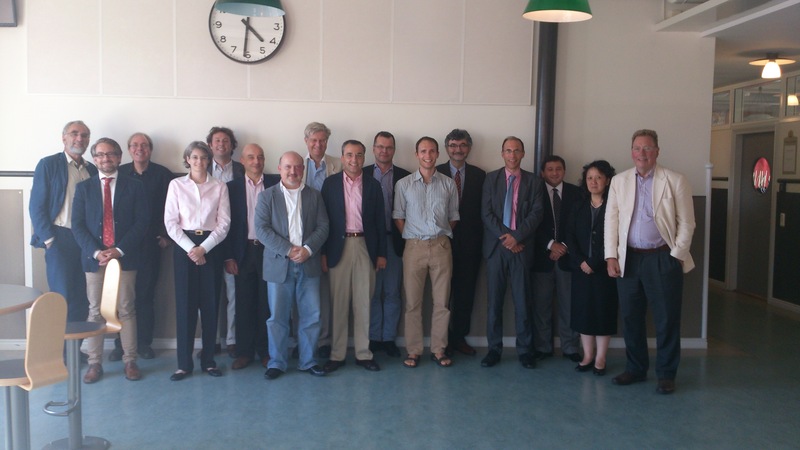 From left to right Johan Hirschfeldt (Olin Foundation), Martin Sunnqvist (administrative assistant), Dirk Heirbaut, Emily Kadens, Agustín Parise, Adolfo Giuliani, Seán Patrick Donlan, Christer Thornefors (Olin Foundation), Aniceto Masferrer, Heikki Pihlajamäki, Matthew Dyson, Olivier Moréteau, Jean-Louis Halperin, Nikitas Hatzimihail, Marie S. Kim and Kjell Å Modéer. Dag Michalsen also participated.